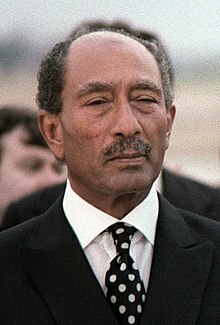 Muhammad Anwar Al Sadat (25 December, 1918 - 6 October, 1981) jẹ́ olóṣèlú àti Ààrẹ ilẹ̀ Egypti láti 5 October, 1970 títí dé 6 October, 1981. ↑ "Former acting president of Egypt dies in Malaysia". Reuters Africa. 2008-02-21. http://africa.reuters.com/top/news/usnBAN154552.html. Retrieved 2008-02-22.